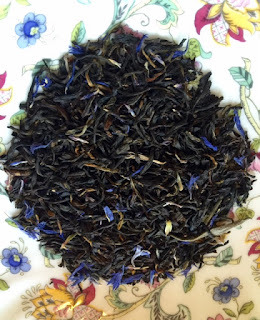 March Tea and a Movie and a Book! My dear friend Michelle visited earlier this month–it’s an annual thing for us. We shop, have tea, see movies at the theater, watch tv and movies at home, and, of course, we talk, talk, talk. I look forward to it every year, and it’s always hard to say goodbye at the end. This visit I asked Michelle if she would watch Bright Star (2009) with me. I’d seen it twice already, and I wanted to share it with her. And you know what? I think I loved it even more the third time! 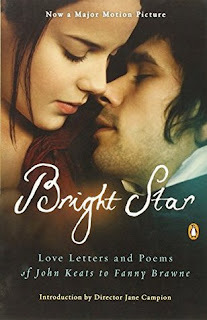 As you may already know, Bright Star is the story of the ill-fated romance between John Keats and Fanny Brawne (played respectively by Ben Whishaw and Abbie Cornish). The film was written and directed by Jane Campion, who also wrote/directed one of my all-time favorite films, The Piano. I adore the look of this film–it balances the ordinary and extraordinary with an exquisite attention to detail. We see that the feelings shared by Keats and Brawne are powerful and transformative. At the same time, Campion honestly depicts the melodrama of youthful passion (Fanny was only 18 when they met), as well as the ways in which each might have been in love with the idea of love. I wish Fanny’s letters weren’t lost to us. 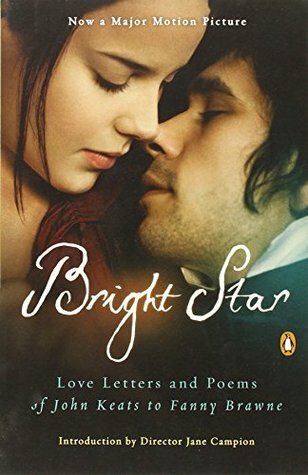 Apparently the letters she sent to Keats in Italy were buried with him unopened. Fanny mourned him very publicly for years. She did eventually marry, but not until twelve years after Keats’ death. Her letters from him were not released until many years after her husband’s death, and they created quite an uproar when published. Many thought Fanny was vain and shallow, certainly not worthy of Keats’ love. (argh!) However, the 20th century publication of Fanny’s letters to Keats’ sister offered a different perspective on Miss Brawne–one that apparently inspired director Jane Campion’s depiction of her as steadfast and kind. 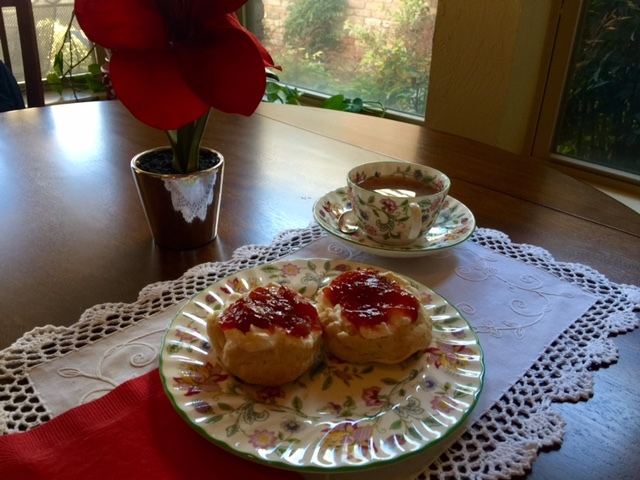 To go along with the tea I made scones using this easy-peasy lemonade scone recipe. The funny thing is that Michelle and I tried to make these scones while she was here, but they didn’t turn out very well, possibly because I didn’t have self-rising flour and instead had to make my own with [possibly outdated] baking powder. (Or did I use baking soda???) Whatever the error, the resulting scones were flat and strange-tasting. My second attempt yielded much better results, though I think they needed to bake a little longer, and I would urge you to use a well-floured biscuit cutter. I whipped my own cream (not as thick and wonderful as true clotted cream, but still quite nice) and used Crofter’s Organic Strawberry Spread. I prefer the Devonshire style of putting cream first and topping with jam. (See this article for more context.) Very tasty! This entry was posted in Reading, Watching and tagged movies, poetry, tea, tea and a book on March 23, 2016 by SoniaG.